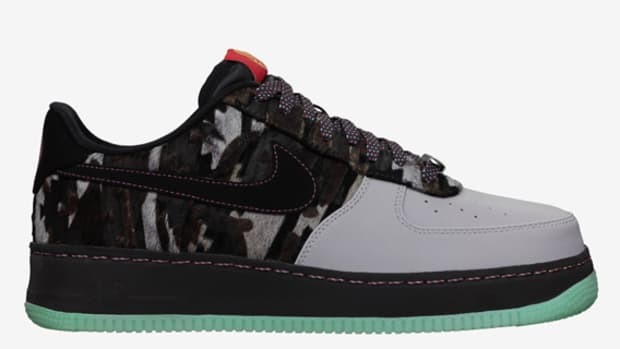 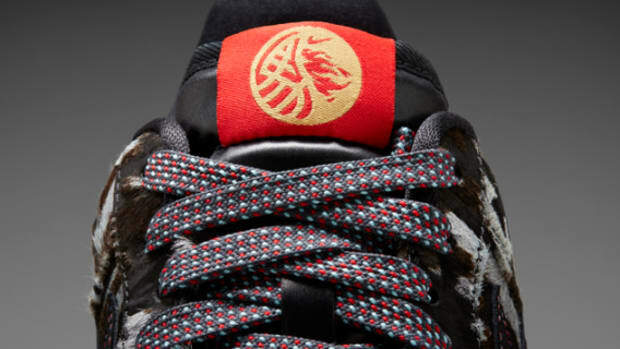 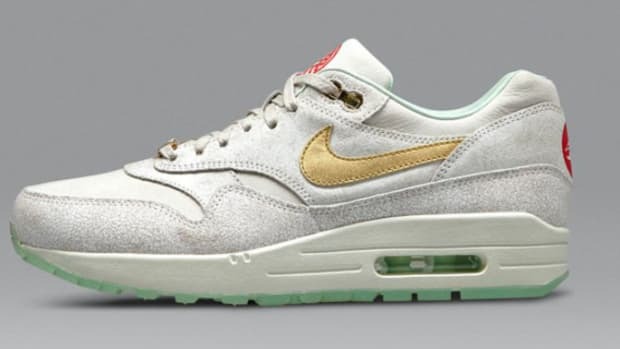 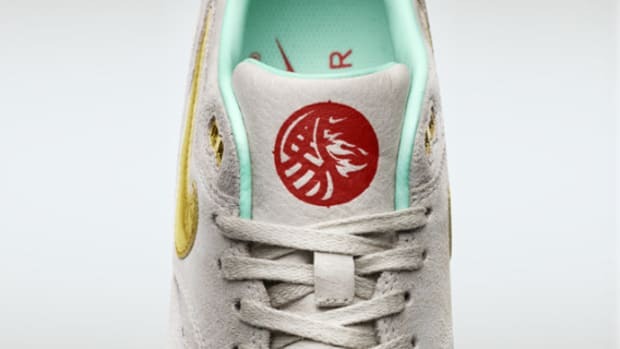 In addition to this women&apos;s Nike Air Max 1, Nike will be releasing an accompanying Destroyer Jacket that celebrates the Year of the Horse. 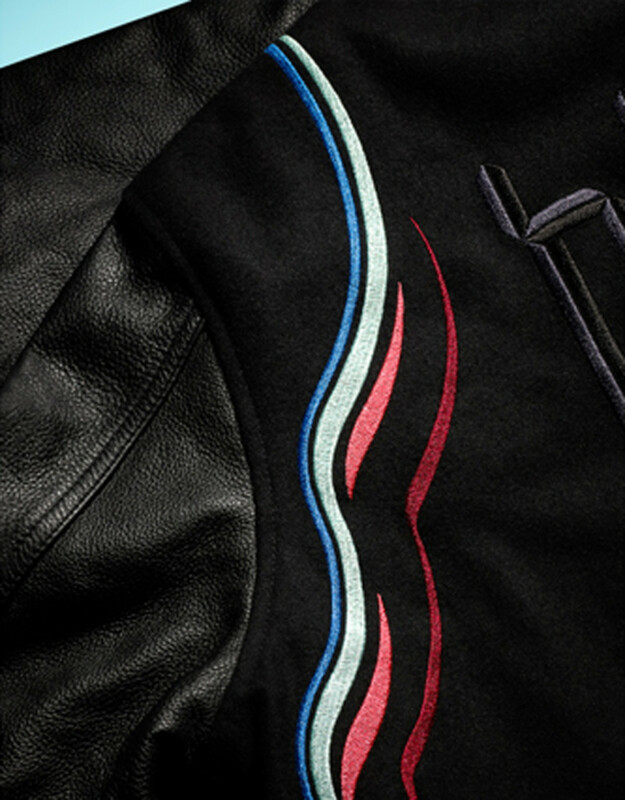 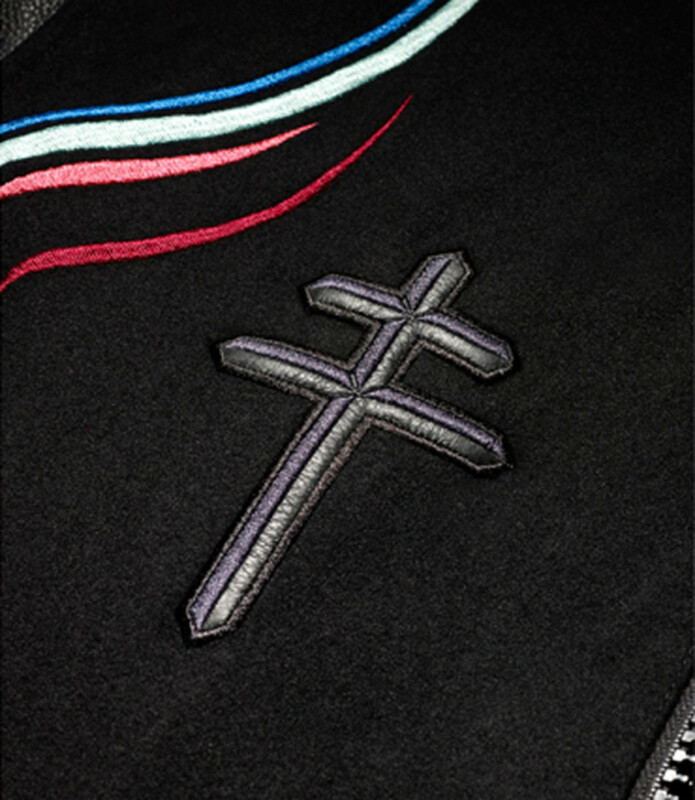 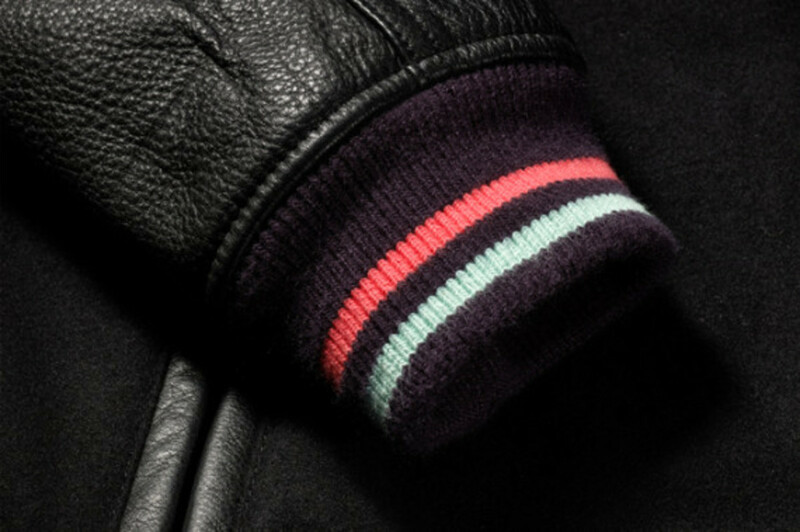 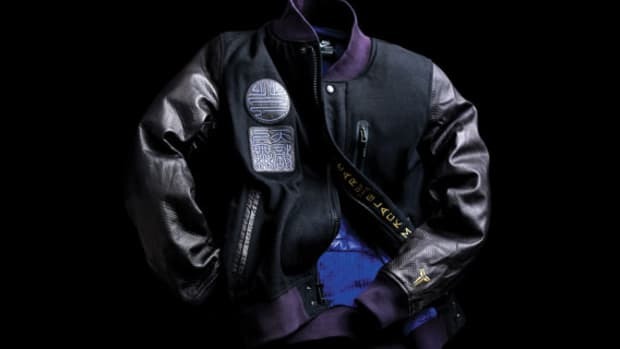 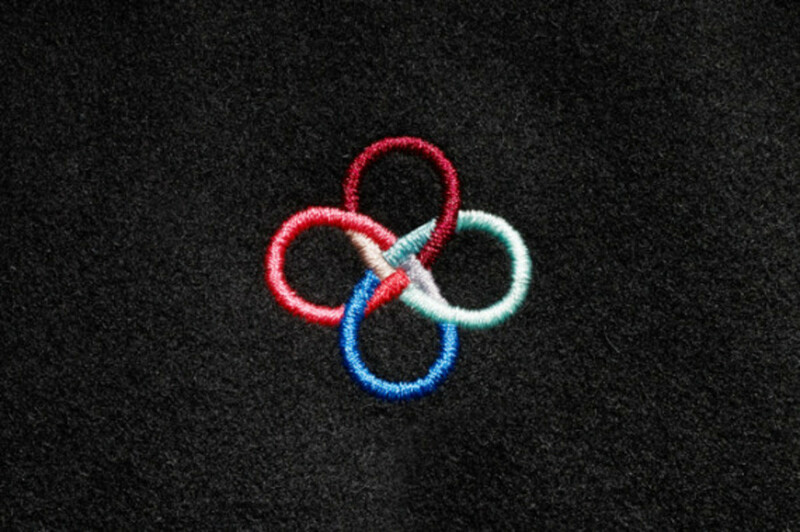 A black wool body with tonal leather sleeves maintain the garment&apos;s traditional varsity styling, which is embellished with decorative multi-colored stripes at the shoulders, as well as the ribbed cuffs and waist. 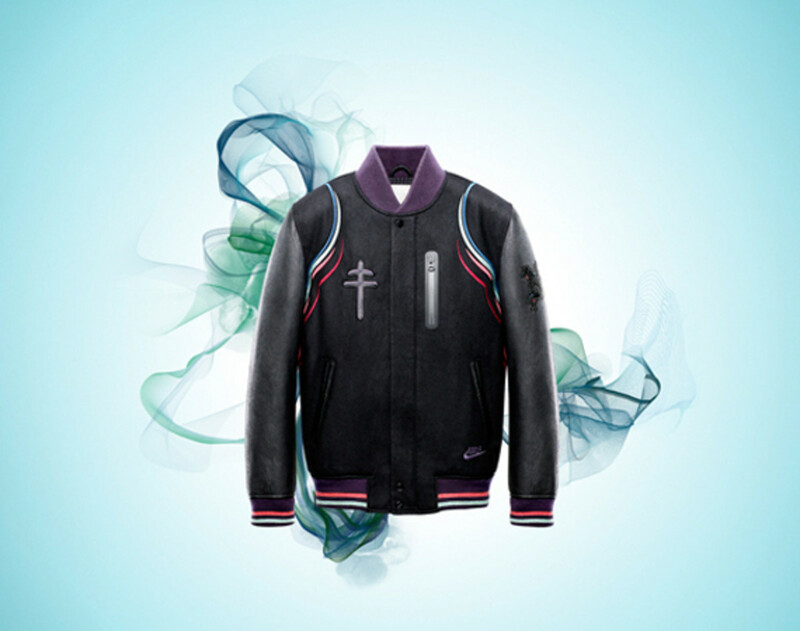 Embroidery at the chest, sleeve and back pay pay tribute to the Chinese zodiac, while a purple collar adds an additional pop of color. 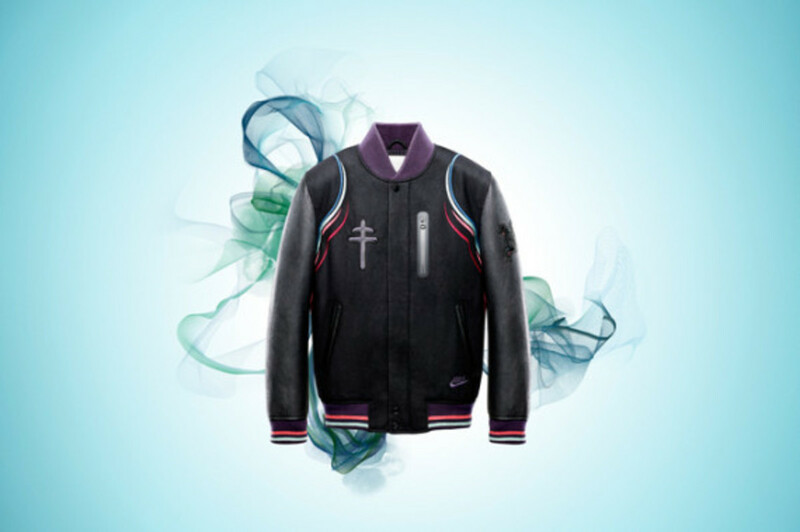 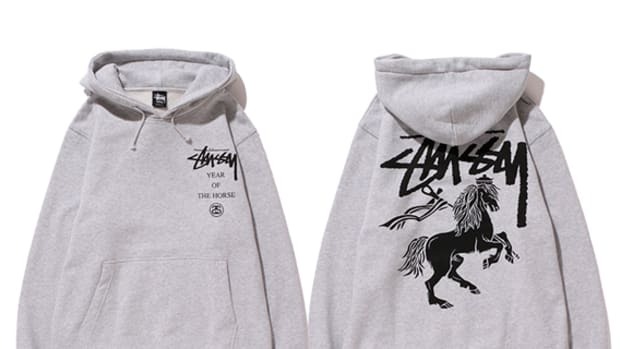 A signature welded zip chest pocket and Nike logo hit round out the details. 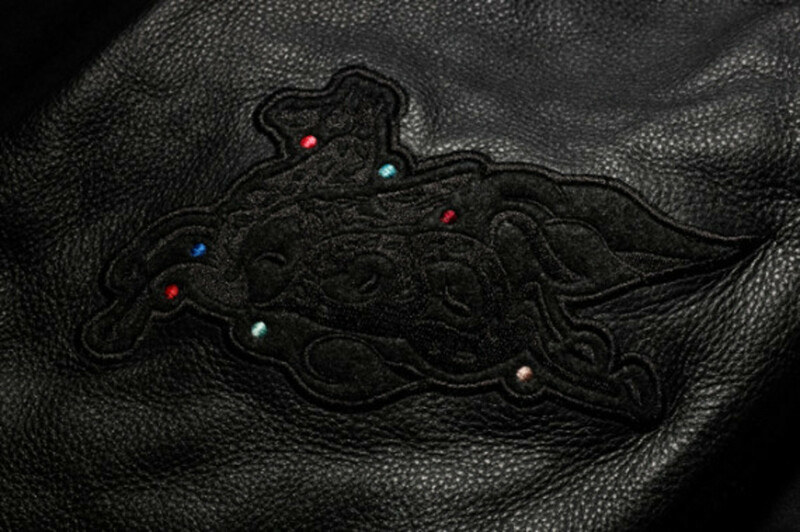 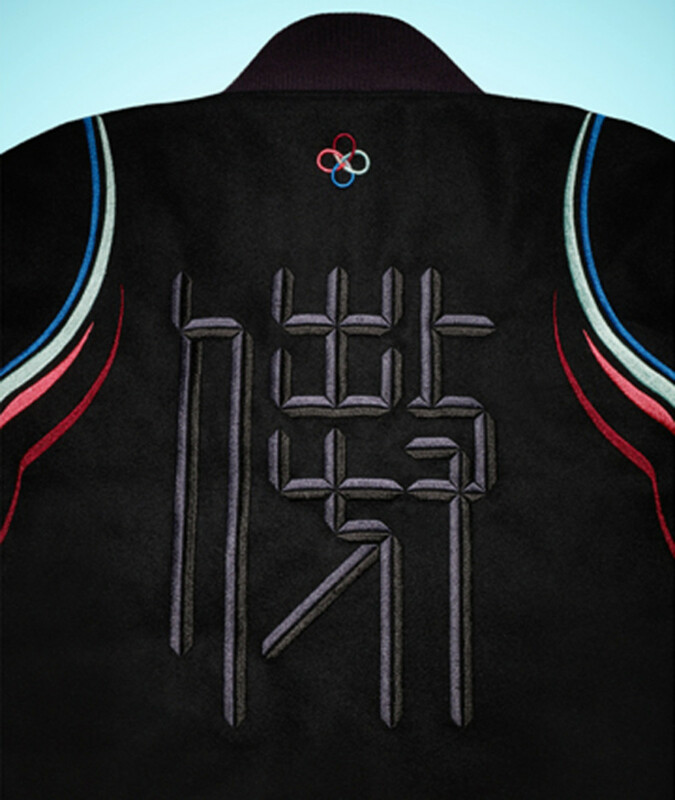 Continue reading for more looks, and expect this special edition Destroyer Jacket to land in stores January 9th.